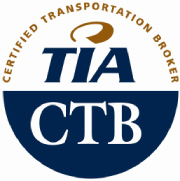 The Certified Transportation Broker (CTB) Program offers graduates the highest broker certification that exists in the industry, and is the most widely recognized designation among 3PLs. Q2 Online Study Course becomes available starting April 1st, 2019. Exam administered June 29th, 2019. Create a culture of excellence within your organization through employee development provided by the CTB. Knowledge increases confidence. Confidence fosters stronger decisions. Better decisions lead to increased margin capture. Incorporating the CTB into your employee development and training plans expresses the investment in your team and for the service commitment to your customers. The CTB curriculum is designed to increase business acumen, improve operational and sales skills and better manage risk. The comprehensive program challenges the learner across the landscape of the 3PL operational spectrum to create a more informed and valuable employee. The fees for the CTB Online Study Course are $675 for members and $800 for non-members. The fees for the CTB Exam are $375 for members and $525 for non-members. Register your team. Take advantage of volume discounts. “Becoming certified sets me apart from my competitors” – Cori Eckley, CTB, Vice President, North American Transport Concepts, Inc.
Certification provides an edge in the competitive transportation marketplace. It demonstrates to carriers and customers that you have the knowledge base, professional integrity, and professional commitment best suited to meet their transportation needs. CTB Certification may be the most valuable credential you will earn in your brokerage career. Companies that promote the CTB Program for their employees benefit from the investment in Certification. With Certified Transportation Brokers on staff, companies can improve their marketability and increase their value in the marketplace with this commitment to excellence. Customers and clients are assured that such brokerage operations are highly qualified and competent. As a Certified Transportation Broker, you stand out among your peers. You will earn the right to wear the CTB lapel pin, exclusive use of the CTB logo on business cards and letterhead, and a professional wall plaque to recognize your achievement. In addition, press releases are sent to the transportation trade media. As a CTB, you are designated as a recognized brokerage professional. The knowledge and understanding gained from the certification process will allow you to become a stronger leader and more valuable asset to your organization. “I feel as if the TIA CTB Course should be a must to all of those going into the transportation and truck brokerage world. Its not only informative but also eye opening whether you’re new to the industry or a 10 year veteran. I strongly suggest this course!” – Heath G.
The fee for the Online Study Course is $675 for members and $800 for non-members. The fee for the CTB Exam is $375 for members and $525 for non-members. A candidate must earn at least one of their five eligibility points through professional experience in the property brokerage, logistics management, or other third party experience. – An individual possessing a degree with a concentration in transportation and logistics may add an extra point. If you totaled five points or more between your experience and education, you have a high chance at successfully completing the Certified Transportation Broker course and exam. If your points were below five, consider TIA’s New Broker Course. Click here to learn more. The Online Study Course (OSC) is offered to help individuals study and prepare for the exam. This course is an intensive three-month on-line program that utilizes a textbook and on-line materials to provide a structured review process. All of the material, minus that covered in Foundations of Business, 5th edition, is available in the OSC. The online study course is offered prior to each scheduled exam. The OSC allows candidates to work at their own pace from the convenience of their home while taking advantage of a structured study format and personalized guidance. During the OSC, you can receive feedback from the instructor on your strengths and weaknesses, and tips on how to take and pass the exam. The OSC is not a substitute for the exam. It is designed to provide a guided view of the appropriate material that the exam will cover. Candidates take regular on-line quizzes to assess their understanding of the material. Quiz answers will not be sent out to candidates for review in order to ensure the integrity of the CTB Exam. There are separate fees for the OSC and exam. (Note: If you plan to use the textbook from previous candidates, be sure to check with TIA to make sure you have the appropriate editions of the textbook being used.) 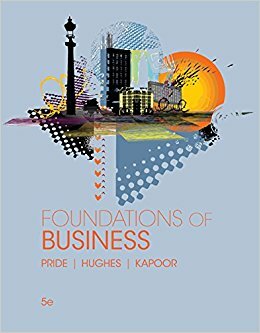 Currently, Foundations of Business, 5th edition, by Pride, Hughes and Kapoor is the correct textbook. The Online Study Course fee is non-refundable. 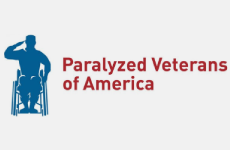 January 3rd, 2019 – Online Study Course Begins (rolling registration). Exam March 30th, 2019. The textbook, Foundations of Business, 5th edition, is available new, used or as a rental in a variety of formats including hardback, paperback, and e-book. Only the 5th edition book is currently approved for this class. The text can be purchased through the Amazon link below. The Exam is a four-hour multiple choice exam covering three sections: basic business principles applied to brokerage; traffic management and contracting for transportation services; and legal and regulatory issues. To become CTB certified, you must pass each of the three sections. Candidates who do not pass section(s) may register at the appropriate member or non-member rate to re-take the failed section(s) during the next scheduled exam date. Candidates have the option of taking all three sections together or separately; however, applicants need to be aware that all three (3) sections of the exam must be passed within three (3) consecutive testing cycles of taking the first exam. Applicants may transfer to the next exam date; however, this will count as one (1) attempt in the three (3) test cycles. The exam is administered four (4) times a year. The examination fee is non-refundable. TIA may in its sole discretion approve transfer of the exam fee one time to the next scheduled exam (less the Certification Application Fee) only if (a) a written request accompanied by an explanation of the basis for the transfer request satisfactory to TIA, is received by TIA two business days prior to the exam date, and (b) written approval is given by TIA to the requestor before the exam for which the transfer is requested. Exam results are scored on a pass/fail basis. Exam percentages or points will not be made available. Candidates will receive their results the immediately following the exam. Candidates who do not pass section(s) may register to re-take the failed section(s) during the next scheduled exam date. Partial pass scores (pass one or two sections only) are valid for three (3) consecutive test cycles which includes the initial exam. Candidates must pass all three (3) sections of the exam within three (3) consecutive test cycles which includes the initial exam. If the candidate does not pass all three (3) exams within three (3) exam cycles, they must register at the original price and restart the entire program. Candidates who have previously enrolled in the Online Study Course may re-enroll for the CTB Online Study Course at the price of $325 for members, $400 for non-members. To re-enroll, please contact the TIA Education department at education@tianet.org. Exam fee is $125 per section for members and $175 per section for non-members.